With 450 years of culture come unique and timeless eateries. The culinary scene on Florida’s Historic Coast reflects its rich history and diverse landscape. Over the centuries, St. Augustine has been home to a diverse array of peoples – and they’ve all left their mark here. Spanish. French. Italian. Greek. Minorcan. Today, people from around the world come to St. Augustine for cultural and culinary experiences unlike anywhere else. Whether you’re craving an authentic Cuban breakfast, an elegant Italian dinner or a Peruvian delicacy, Florida’s Historic Coast has something for every palate. Nothing says historic quite like a beautifully restored house built in 1873. This inn and restaurant are in the heart of downtown St. Augustine, the location of the original 1565 settlement that has been continuously occupied since the 16th century. Old City House restaurant is known for its creative cuisine and Mediterranean atmosphere. 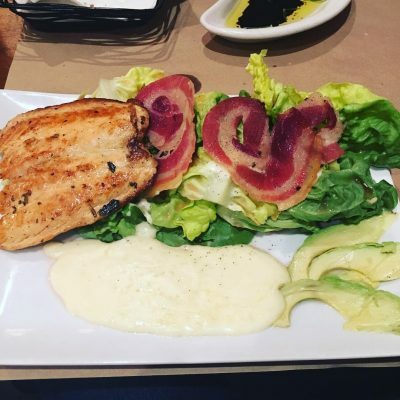 All entrees are made to order featuring fresh seafood, lamb, pasta, and more. In 1768, Greeks came with others to St. Augustine for the promise of freedom and hope in return for seven years of work on a new farm just 75 miles south in New Smyrna. After a 10-year struggle, only 300 of the original 1,400 passengers found refuge in historic downtown St. Augustine. The Greek influence in St. Augustine still exists today. This family-owned restaurant will have you thinking you’re in Greece. 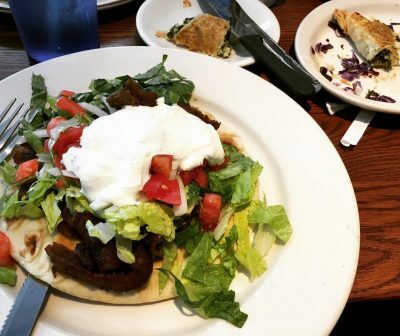 Athena prides itself on its authentic cuisine and electric Greek atmosphere that keeps local foodies coming back for more. 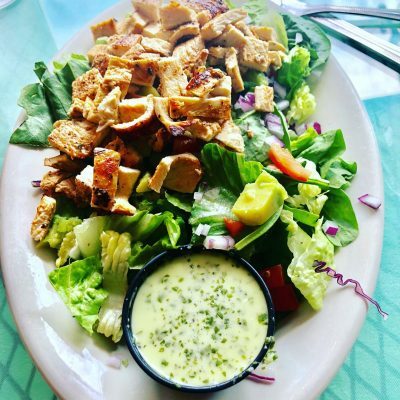 This local spot has been featured on PBS and First Coast TV. Their famous Cuban-American menu is known for its breakfast items including Chorizo Pizza and Bistec a caballo. In 1532, Spanish explorer Hernando de Soto raided Peru and stole 18,000 ounces of gold. When he came back to Florida, he landed in Tampa and planned to use the money to create a settlement in St. Augustine. With their new Peruvian restaurant, Llama is making that money back, and then some. 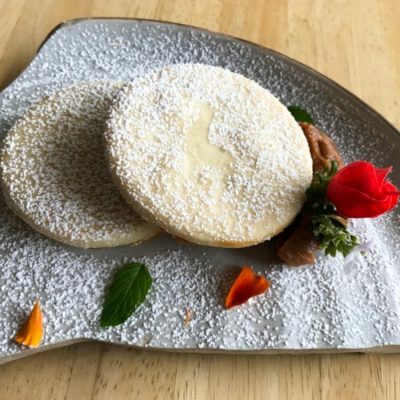 This unique Latin-American restaurant is all about exceptional service and flawless execution. Their Peruvian cuisine and exotic drink menu sets them apart and creates a once-in-a-lifetime elegant dining experience. Not only were Italians also among the 1,400 original passengers that came to Florida for work in exchange for freedom, they were part of the remaining 300 refugees to seek asylum in St. Augustine. As you walk around downtown, you can see evidence of the Italian culture that has made its mark in the historical architecture. The Memorial Presbyterian Church in downtown St. Augustine was inspired by the St. Mark’s Basilica in Venice, Italy. Today, with their modern Italian cuisine, Terra & Acqua is the perfect Italian seafood restaurant with fresh, local ingredients. Happily, Terra & Acqua found themselves in The Restaurant Times as one of the best Italian restaurants in North Florida. Spanish history is synonymous with St. Augustine, dating back to the beginning when Pedro Menendez de Aviles founded the land in 1565, making it the oldest occupied settlement in the United States. Likewise, the culture of Saint Augustine is perfectly encapsulated in the Spanish Bakery. 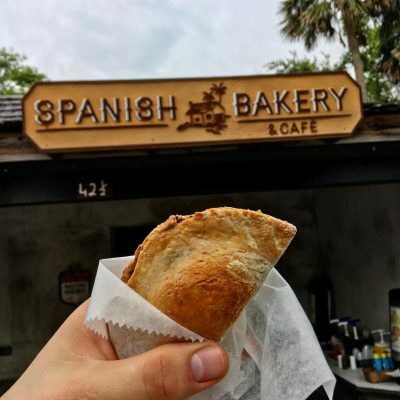 All of their old Florida recipes are made daily including delicious empanadas, picadillo and sandwiches. With a stone hearth oven and a separate smoke house, it’s no surprise that they have been a local favorite for 37 years. 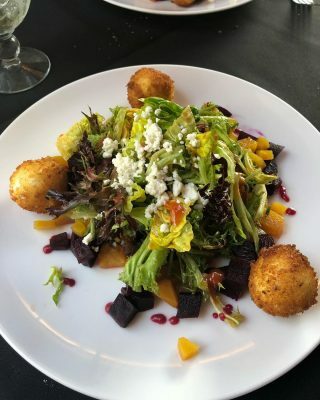 To view a full guide to culinary experiences in St. Augustine, visit www.historiccoastculture.com/maps/farm-to-table/.